One of our bestsellers over time - classic and a real headturner: The chunky tennis bracelet CONIAN is made with crystals from Swarovski and stainless steel. 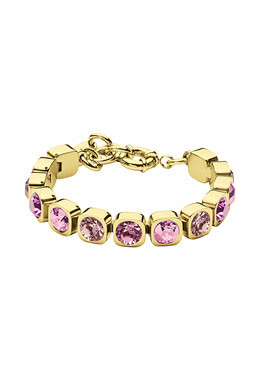 Shown here in a polished gold toned finish with soft rose coloured crystals. With spring closure.